• Packaged in a six-panel digipak with accompanying photo booklet. • 4 hours of never before seen material from the past 40 years. • Disc One: Part One explores the creation and rise to fame in the 1970’s through their breakup in 1980. • Disc Two: Part Two details the band’s reunion in 1994 through the Hell Freezes Over tour to present day. 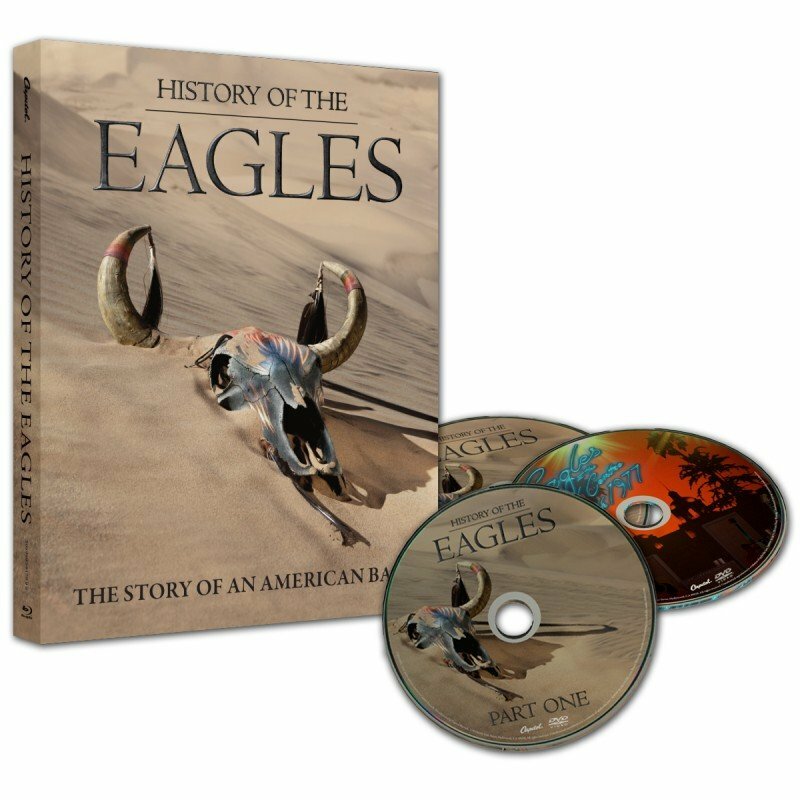 • Bonus Disc: Exclusive concert, Eagles Live at the Capital Centre March 1977. • Directed by Alison Ellwood, along with Producer and Academy Award-winning documentarian, Alex Gibney. •This product includes Region 1 DVD discs, which may not be playable outside the US and Canada.